Mission Viejo High School in Southern California. When High School Football America co-founder Trish Hoffman named this website and our company, she did several things — A) she captured the essence of what the sport is all about…it truly is 100-percent America. B) she encapsulated the fact that the 15,000-plus schools that play high school football are woven into the fabric of their respective communities, which creates a beautiful tapestry known as High School Football America. On this the 241st birthday of this beautiful country that we celebrate everyday, thanks to Trish’s foresight in our name, I thought it would be fun to look at July 4th through the lens of high school football. According to the website High School Nicknames, there are 270 schools that carry the nickname Patriots. Florida, not one of the founding 13 colonies lead the way with 19 schools carrying the Patriot nickname. Next in line is North Carolina with 12, Indiana and Tennessee with 11 each, Virginia with 9, Maryland with 8, and West Virginia with seven. It may surprise you that Massachusetts with such noted patriots of the American Revolution like John Adams, John Hancock and Paul Revere only have two schools that call themselves the Patriots —Concord-Carlisle High School and North Middlesex Regional High School. The Colonials and Colonists are two other nicknames with plenty of red, white and blue to them. There’s only one school called the Colonists. That’s Anaheim High School near High School Football America’s base in Southern California. Anaheim’s arch-rival is Western High, which is quite fitting since they are known as the Pioneers. Today, the Anaheim Union High School School District has a dozen different high schools, but back in 1956 it was only Anaheim High. To this day, the Colonists have the distinction of playing before the largest high school football crowd ever in the CIF Southern Section. That came on December 14, 1956 when an announced crowd of 41,383 watched Anaheim battle Downey to a 13-13 tie in the CIF championship game at the Los Angeles Coliseum. Some media stories say the crowd may have been 20,000 larger, since thousands of fans entered the stadium after they stopped selling tickets. There are 12 schools in America that are known as the Colonials — Albert Gallatin, New Oxford and Plymouth Whitemarsh (Pennsylvania), Acton-Boxborough and Shrewsbury (Massachusetts), Freehold Boro and Morristown (New Jersey), Clay (Indiana), William Floyd (New York), William Penn (Delaware) and Thomas Jefferson Science and Tech in Alexandria, Virginia. I guess it’s only fitting the man who penned the Declaration of Independence have a high school named the Thomas Jefferson Colonists. There are plenty of other Founding Fathers honored with high schools being named after them. In Philadelphia, Ben Franklin High is known as the Electrons. In Los Angeles, George Washington Prep proudly carries the nickname the Generals. In Ozone Park, New York, John Adams High is known as the Spartans. In Elmford, New York, Alexander Hamilton High calls itself the Raiders. James Madison High School in Vienna, Virginia is the Warhawks. And, John Jay High School in Cross River, New York is the Indians. Panoramic view from home stands at John Jay High School football stadium. The last part of today’s history lesson comes from my hometown area known as the Lehigh Valley, which encompasses Allentown, Bethlehem and Easton in eastern Pennsylvania, one school district celebrates our independence everyday. In the late 60’s when the Bethlehem School District split Bethlehem High School into two schools, officials decided on the names Freedom High School and Liberty High School. 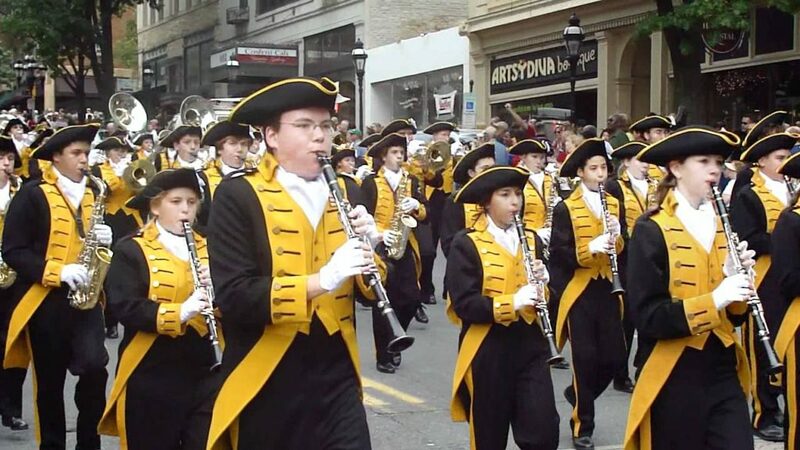 Freedom is known as the Patriots and to this day, I believe that the school’s marching band has the coolest outfits as you can see below. 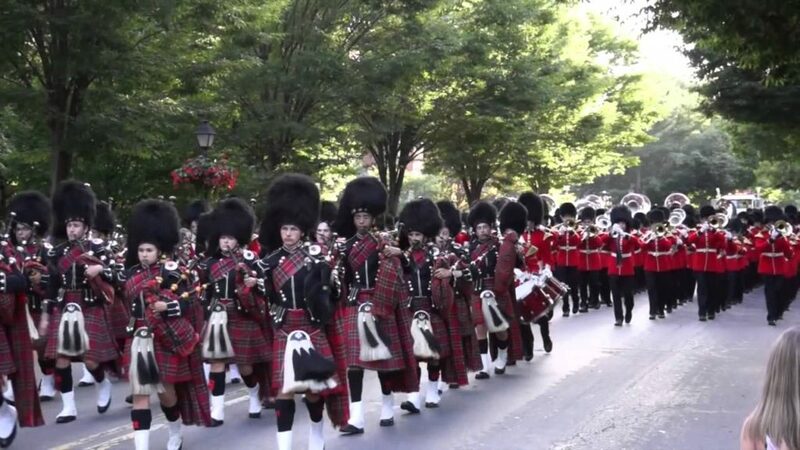 For those of you wondering, Liberty High is known as the Hurricanes and it also has a great marching band known as the Grenadier Band, which is complete with Scottish kilts and bagpipes. Liberty Grenadier Marching Band. YouTube photo. And, the only way to close this story is by watching the Freedom and Liberty bands play the Star Spangled Banner below. Bishop Gorman leads the Mountain Regional Rankings.